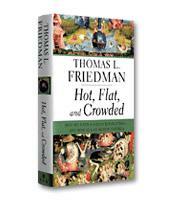 Thomas Friedman exposes the tectonic movements that are reshaping the world today and explains how to get the most out of them and cushion their worst impacts. His thesis: to understand the 21st century, you need to understand that the planet’s three largest forces - Moore’s law (technology), the Market (globalization), and Mother Nature (climate change and biodiversity loss) - are accelerating all at once. These accelerations are transforming five key realms: the workplace, politics, geopolitics, ethics, and community. 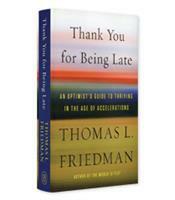 Thank You for Being Late is an essential guide to understanding the present and the future. In the latest book from influential New York Times columnist Thomas Friedman, Thank You for Being Late: An Optimist’s Guide to Thriving in the Age of Accelerations, readers are taken through a typical globe-spanning Friedmanesque journey of ideas, insights and, of course, people — many people of a wide variety of nationalities and perspectives, but all supporting in some way Friedman’s central theme: The world is speeding up — and that’s okay, as long as we all keep moving ourselves. Not that there isn’t good reason for trepidation. As Friedman notes, the most dangerous period on New York City streets occurred when cars started appearing but horse-and-buggies had not yet disappeared. We are currently in a similar transition period, with the world accelerating at such a rate that humans are having trouble adapting to the changes. The first acceleration is in the domain of technology. When visiting the laboratories of the multinationals driving technology forward, Friedman writes, he feels a bit like James Bond visiting Q’s laboratory to discover the latest high-tech spy gadgets. Except that the mechanical gadgets of Fleming’s hero have been replaced by what most people refer to as “the cloud” and what Friedman calls “the supernova.” Beginning in 2007, according to Friedman, the supernova started launching Moore’s law on the exponential increase in processing power into the stratosphere. Friedman uses the example of an information-technology multinational company based in the surprisingly named town of Batman, Turkey to exemplify how the supernova empowers innovators to reach everywhere from anywhere. 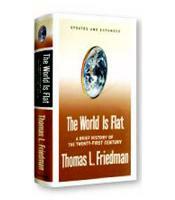 The second acceleration concerns globalization, which Friedman calls “the Market.” The world, according to Friedman, is even flatter than before. One impact of the acceleration of globalization that Friedman highlights is “the big shift,” a term coined by management thought leaders John Hagle III, John Seeley Brown and Lang Davison. The big shift refers to the core unit of value moving from stocks of knowledge to flows of knowledge. The third acceleration concerns the environment, perhaps the one area where the reader might sense a bit more trepidation on the part of Friedman. Humans, he argues, have to adapt, starting now, to the accelerations of Mother Nature, as summarized in a “boundaries” report by environmental researchers that shows how the earth is pushing past boundaries (in carbon dioxide levels, surface temperature, tropical forest loss, etc.) never before breached. It is said that in his later years, Mark Twain became increasingly bitter. 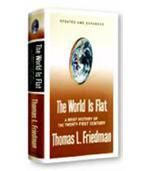 Friedman, in contrast, remains steadfastly optimistic — it is no accident that the subtitle of Thank You for Being Late declares that this is an “optimist’s guide.” As for the enigmatic title of the book, it comes from Friedman’s realization that he didn’t mind if interview subjects arrived late. Their tardiness gave him “found” time in which he could simply reflect on the world around him. Given the illuminating insights and explorations in this book that emerged from such reflection, readers will be equally grateful that even in the age of accelerations there are some things that continue to slow people down. Receive all of our latest book reviews in your inbox each month.